Bronzeshield Lifting Ltd are recruiting HGV / Trailer Mechanics and Crane Mechanics in Crayford Kent. Competitive rates of pay depending on experiance. Immediate start available. Contact 01322 555050 or email mark@bronzeshield.com for further information. Bronzeshield Lifting Ltd are now hiring full time Mobile Crane Operatives for All terrain cranes with lifting capacities from 40 tonnes up to 350 tonnes and Mobile Tower Crane Operatives. The location is Crayford in Kent post code DA1 4QH. Mobile crane types are Liebherr, Terrex/Demag and Tadano Faun. Call 01322 555050 or email: mark@bronzeshield.com for more information. 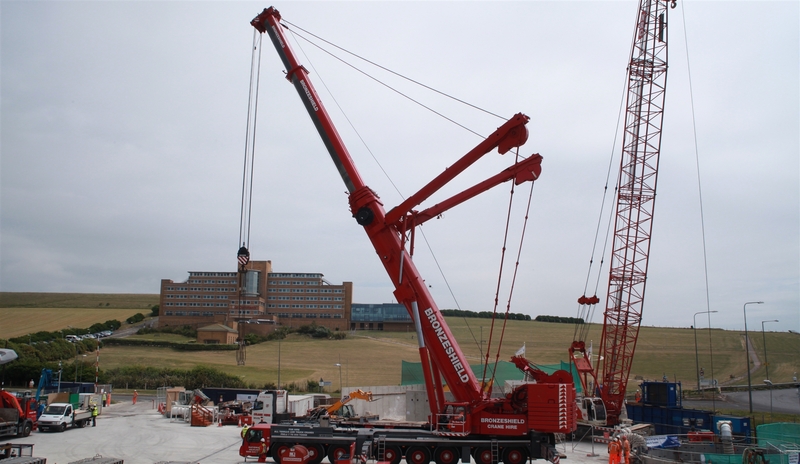 Crane Hire Desk Personnel required to assist in the day to day running of Mobile Telescopic Cranes. Job role includes working with an existing team to route plan crane and transport , crane task allocation, customer services and general administration. Experience preferred, however, task specific training is available. Knowledge of Word and Excel will be required. Salary would be dictated by experience. Location of position - Crayford, Kent DA1 4QH. Contact 01322 555050 or email: mark@bronzeshield.com for further information.